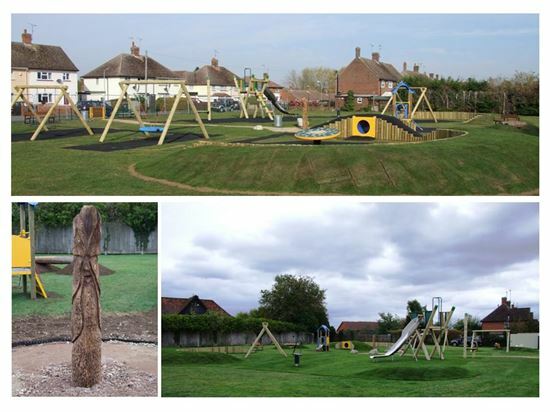 An open access play space with natural features and landscaped areas providing a good range of play experiences designed for ages 2-14. The front of the open space has a low level fence with gated access via Overn Avenue. Good pedestrian access provided with a hard surfaced path to the play space. Limited roadside car parking is available.